Fall and winter can be very problematic seasons, especially for homeowners who prefer to keep home maintenance at a minimum. On the other hand, for those who practice regular and efficient home upkeep, dealing with major issues triggered by cold weather isn’t much of a problem. 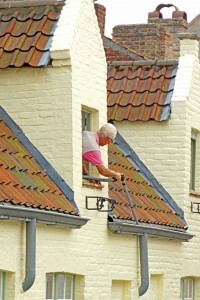 Perform regular gutter and roof inspection. Keep doors and windows securely sealed. Shut off valves or use freeze-proof covers for faucets. For more tips on fall home maintenance, click here.